The manufacturer recommends taking one (1) capsule daily as the recommended dosage. Internet pricing may vary from website to website. At the time of writing this review this product was found at a price of $39.99 for a bottle of 30 capsules, which under the suggested use should last about one month. The manufacturer offers a 14-day return policy. This is not a very long time in order to determine if the product is working for you. Additionally, the manufacturer will not refund shipping costs. As far as Phytoceramides products go, LiveTru Nutrition Phytoceramides may be a decent option. However, when looking at the price of this product, its ingredients and that they do not offer a guarantee. 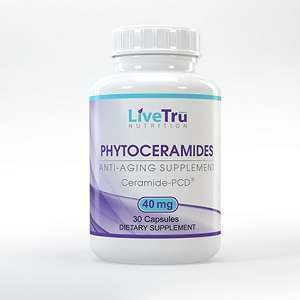 Jack Webster	reviewed LiveTru Nutrition Phytoceramides	on February 4th	 and gave it a rating of 2.